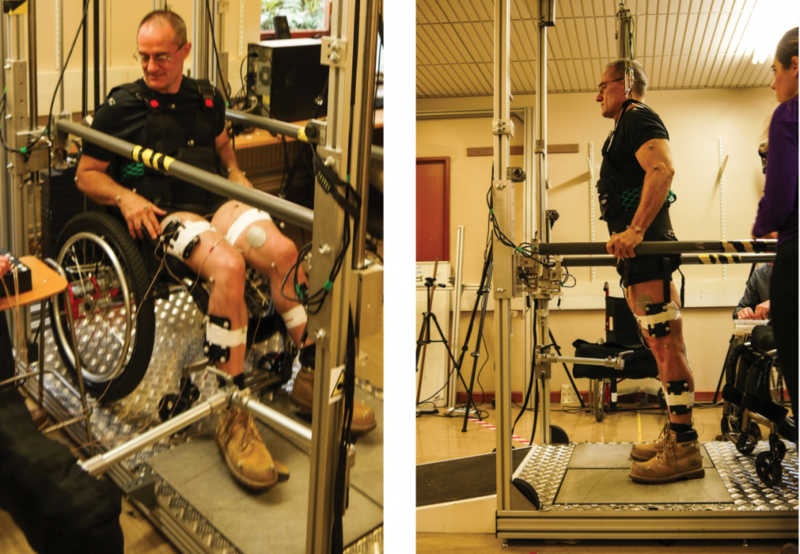 A research team at the University of Reading is helping people with paraplegia to stand, using electrical stimulation and high-tech exercise platforms to prevent long-term decline in bone and muscle. Spinal cord injuries are far more common than you might think. Worldwide, somewhere between 250,000 and 500,000 people acquire a spinal cord injury every year. A car crash, a fall, or even an act of violence – all of these things can bring about an instant and massive change in someone’s life. Spinal cord injury affects people in more ways than just removing the ability to walk. The lack of activity causes the legs to lose strength, while both bones and muscles reduce in density. The act of standing and walking requires the legs to support the entire body weight and thus places a significant amount of pressure and loading on leg bones. Once this loading is gone, the body reacts by thinning out the unused bones – which in turn leads to a much higher chance of fractures. This effect is also seen in astronauts, where the long periods of weightlessness cause a similar lack of loading and thus bone density and muscle loss. The team of researchers is developing a therapy that will minimise this bone density loss, immensely improving the quality of life for those with paraplegia. As of yet there are no widely accepted ways to prevent or reverse this loss of bone density; pharmaceutical approaches do exist but tend to have significant side-effects. However, it is possible to slow density loss by simulating the typical forces caused by walking in a healthy subject. There are several ways to provide these forces, but one of the most effective is for the individual to stand up and shift their weight around. It seems unlikely for someone with paraplegia to stand, yet technology has been available for many years to allow this. Known as ‘functional electrical stimulation’, or FES, the process uses electrical stimulation to induce muscle contraction. In a typical muscle, nerve signals trigger the activation of an electrical impulse within the muscle filaments – this causes contraction of the filaments and thus contraction of the entire muscle. In FES, electrode pads are placed over the muscle to be activated and transmit a low-energy electrical pulse. This pulse activates nearby nerve cells, which then transmit signals that activate the associated muscles. FES works in both healthy people and in those with spinal cord injuries – the injury does not take away the required nerve and muscle cells but merely removes the person’s ability to voluntarily control them. For a person with paraplegia, the FES system allows the main leg muscles to become activated, which has the effect of locking the legs in the extended position. Once this is done, the person can lean their upper body backwards to bring their centre of mass behind their back – in essentially an inverted ‘C’ shape. This creates a stable balanced posture that allows a person with paraplegia to stand upright, controlling their balance with upper-body movements. There are some downsides to this technique, however. Electrified muscles do not rest and will begin to suffer fatigue, meaning that they will eventually fail to hold the locked-leg position required for standing. Many different approaches have been trialled to reduce muscle fatigue, ranging from changing the format of the electrical signals, shifting postures and activating specific muscles in different orders. It is at this point that the Professor Holderbaum and his research team enter the picture. Their goal is to improve the currently available treatment of patients with paraplegia by more effectively slowing bone density loss. To do this, they have created one of the most advanced FES exercise platforms currently in use. The platform is equipped with a number of sensors that measure the forces applied by the user. A motion capture system, similar to those used in the film industry, can record and reconstruct the current body position of the user. Using this data, a computer calculates which muscles to activate and when – a purpose-built FES device created by the team can activate up to 16 muscles at once to help users hold their balance and perform exercises. 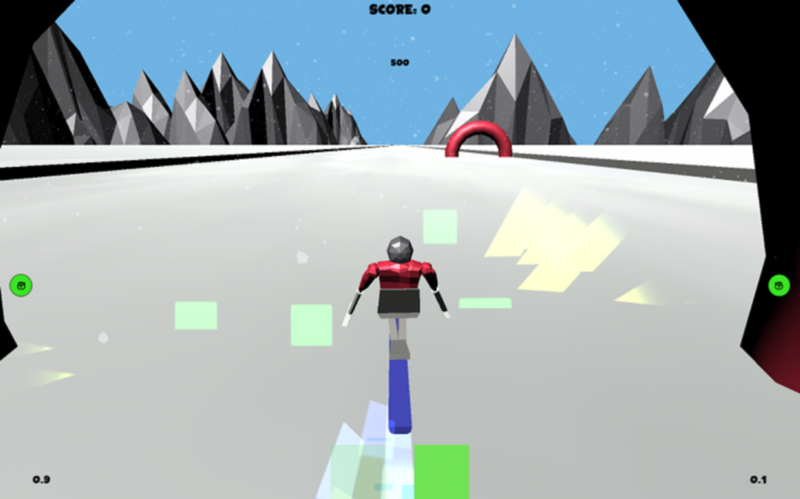 A skiing video game demonstrates the current body posture and exercise output. This not only keeps users of the system entertained during the program but also provides instant feedback to ensure that the correct exercise posture is achieved. By co-ordinating FES and voluntary movement, the system provides exercise and leg loading while preventing the muscles from becoming too quickly fatigued. This entire process works with people who have paraplegia – it is essentially an automated standing and exercise device. This system certainly sounds impressive, but the real question is whether it improves patient outcomes. To determine this, the team performed a study with the help of participants who had suffered a spinal cord injury. It was divided into two phases, termed leg conditioning and intervention. The leg conditioning phase consisted of a three-month training program involving daily use of the FES system designed to build leg muscle strength. This stage is vital for long term success – muscles begin to lose mass after only six weeks following a spinal cord injury, so it is imperative that prior strength is rebuilt before performing any standing exercises. 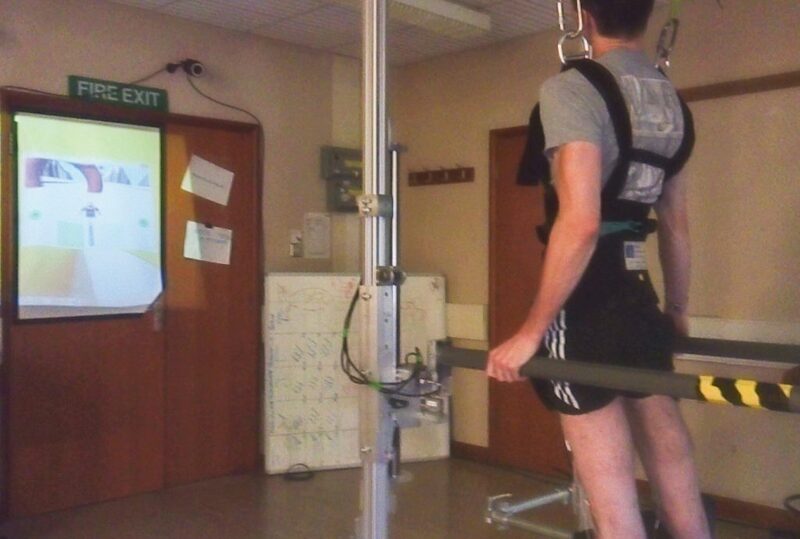 In the following intervention phase, the participants of the study were allowed to stand within the exercise platform, where they performed a number of load-bearing exercises as part of a skiing game. To ensure that the participants were ready for the process, the researchers first tested that they could undergo FES for one hour without showing significant signs of muscle fatigue and that they were able to balance by moving their upper body. The participants came to the laboratory twice a week for six months to perform an hour of exercise. While in the exercise frame, the system used surface electrodes to stimulate between eight and 12 muscles in the lower limbs. This spread of muscle activation was performed so as to provide a wider loading of the bone and thus a more consistent degree of bone improvement throughout. 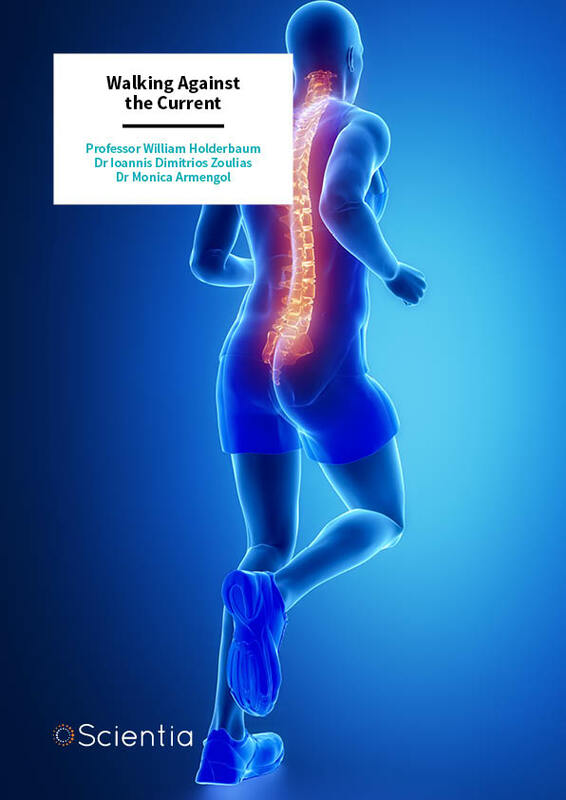 The research team designed the exercise program to focus on side-to-side and front-to-back movements – these motions are ideal for providing compression forces along the bone while avoiding shear forces across the bone, thereby minimising the chances of causing damage. At the same time, the team used force sensors and motion capture systems to record the movement and forces being experienced by the participants. The researchers also took x-ray scans of the participants’ legs, both before and after the intervention phase. They used this information to assess bone density in the affected areas and thus the effectiveness of the treatment. The information obtained from the intervention phase measurements was then used to adjust the parameters of a biomechanical model developed to simulate the characteristics of the participants. The ultimate goal of the model is to understand the distribution of internal forces in the bones and joints (e.g., ankles, knees, and hips) of the participants, especially as they perform various movements in the exercise frame. This is important for determining which stances lead to the best results in terms of bone development – for example, shifting the main force against the ground forwards on a foot increases pressure at the ankle by up to 60%. It is well-established that there is a relationship between the force that bones are subjected to and the corresponding development of that bone. 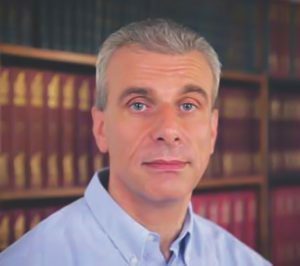 What is not well-understood is just how those factors interact – in particular the exact amount of force, and the frequency in which this has to occur for bone formation. The research team’s goal is to more fully understand these interactions. Their hope is that the combination of biomechanical models and bone imaging will better link motion and bone response and thus the overall impact on bone health. So, where does Professor Holderbaum and his team want to go from here? There are many different goals and much work remaining. From a research point of view, the team is interested in studying more complex movements, and obtaining additional data to help them better predict when and where bone formation will occur. At the same time, the group is also interested in expanding the availability of the system, whether it be examining the role that these exercise-games can play in rehabilitation, or developing a home-based standing frame for wider accessibility. This is just the first step on the long road to assisted walking for people with paraplegia – but if the work of the group is anything to go by, it will one day be a road well-travelled. Professor William Holderbaum is a Professor in Mathematics and Engineering at the University of Reading, UK. Prior to this, he was a research assistant at the University of Glasgow in Scotland, UK. He was then appointed Lecturer at the University of Reading in October 2001, senior-lecturer in 2010 and Professor in 2014. He is also currently a Professor at the Manchester Metropolitan University and a Lecturer in Mathematics at the Open University. He has received government and charity funds to support his research projects in Functional Electrical Stimulation (FES) control and Robotics, the latest of which is the development of a FES system for bone health maintenance in spinal cord injury patients, funded by EPSRC. Dr Ioannis Zoulias works with signal processing and control for safe FES-assisted standing of people with paraplegia. His research focuses on the clinical applications of human machine interactions. 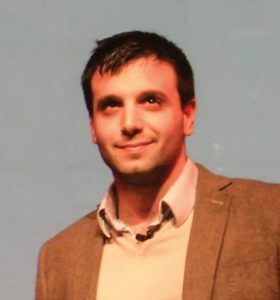 Dr Zoulias recently received funding from the Physiological Society to organise a symposium on transferring Brain-Machine interface technology into the clinic. He is a keen promoter of science outreach, and has a great track record in taking part in science public engagement events (for example, RI – Christmas Lectures (BBC) and Big Bang Science Fair). 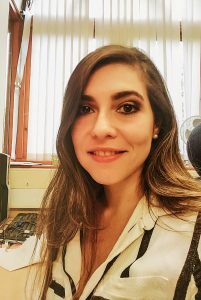 Dr Monica Armengol is interested in studying the biomechanics of different pathologies such as spinal cord injury and osteoarthritis. Her research focuses on the development of diagnostic tools and the design of better rehabilitation therapies. Dr Armengol is also very interested in transferring technology out of the lab and putting it into the hands of people. She has been awarded prizes for entrepreneurship and has taken part in many outreach events to encourage young women to pursue careers in STEM.